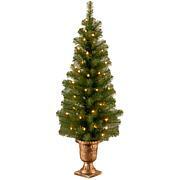 Keep the holidays in your home all year long with this attractive pre-lit pine tree. 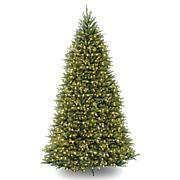 It features 908 Augusta pine tips intertwined with 400 multicolor lights. Best of all, there's no mess to clean up. Add your favorite decorations and ornaments to make it uniquely yours. Happy holidays. Easy to put together, my daughter and I had it up and glowing within minutes! Perfect size for my condo. 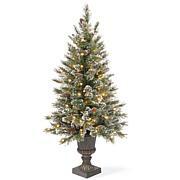 This is a really nice tree for a narrow and smaller area. 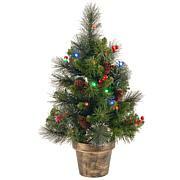 Its very easy to set up but you do need to have an extension cord that you can plug the three strands of lights in. 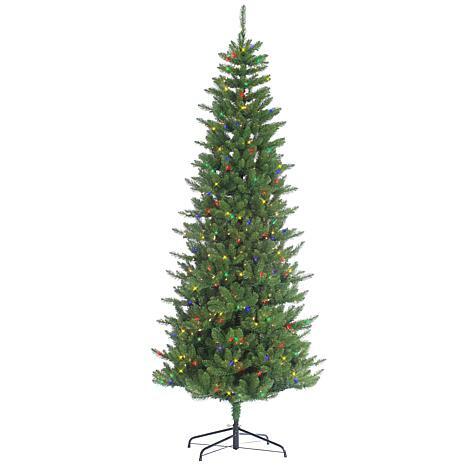 My problem with it is, the tree is very lit up on the top section and bottom sections. The middle section was noticeably missing lights. Most of the branches had just one light on it. Since I had the tree up before I noticed this, I went out and bought a strand of 100 lights and weaved it thru the middle.